We counted on Monday, the last day for the 2014 Great backyard Bird Count. Had the event been last week-during the ice storm, more species would’ve been recorded. A warm sunny day saw a bit less activity at feeders than the first half of February when treacherous weather brought a slew of new visitors to this North Georgia yard. 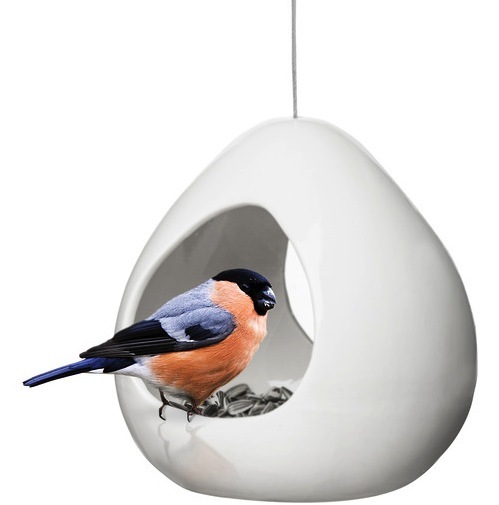 But with this warmer weather and the first glimpse of spring… a new glass bird feeder or two always helps to celebrate! 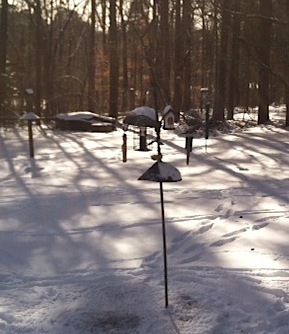 Stationary, the count was limited to the backyard where most of our feeders and baths are placed. Superior habitat occurs with mature pines, shrubs and hardwoods. 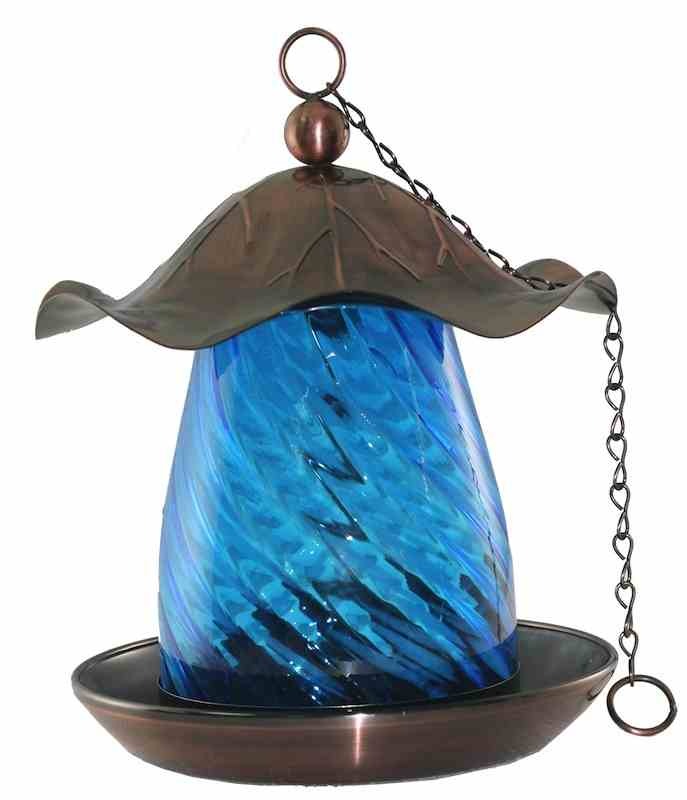 By the way, the greatest benefit to glass feeders is the non-porous surface. 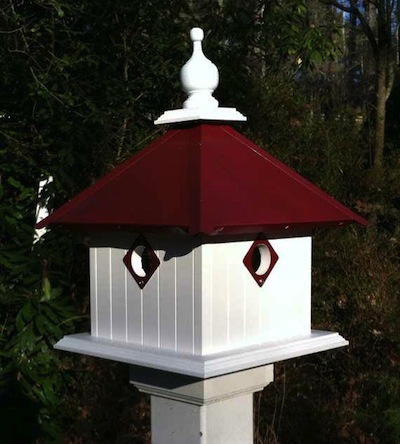 Bacteria and mold can not penetrate surfaces like wood, this makes them healthier for birds. Plus they’re much easier to clean. But back to the count: Again this year, participation increased over last with 131 countries reporting checklists, as opposed to 110 last year. Although data is still being entered, here’s a brief overview of country, number of species reported, and the number of checklists for that country. Pretty impressive! After last year’s “superflight,” this year’s GBBC reports for 10 irruptive species (mostly finches) are down considerably. This includes reports for the White-winged and Red crossbills, Common and Hoary redpolls, Pine and Evening grosbeaks, Pine Siskin, Purple Finch, Red-breasted Nuthatches, and Bohemian Waxwings. These are believed to be natural fluctuations in numbers because of variation in seed crops. A massive irruption of Snowy Owls into the northeastern, mid-Atlantic, and Great Lakes States of the U.S., as well as southeastern Canada, is easily seen in GBBC numbers. Preliminary results show participants reported more than 2,500 Snowy Owls in 25 states and 7 provinces of the U.S. and Canada! The frigid cold in many parts of North America has resulted in unusual movements of waterfowl and grebes. With the Great Lakes almost completely frozen, some species, such as the White-winged Scoter and the Long-tailed Duck, have fled the frozen lakes and stopped at inland locations where they are not usually found at this time of year. You can still count birds! Project FeederWatch is a winter-long survey of birds at your feeders. The lab is offering a 2-for-1 to join this fun project now. You can always count birds! Anytime, anywhere in the world you can report bird sightings through eBird. Use the same user name and password you used for the GBBC and keep on counting at eBird.org. Happy Valentine’s Day… and Thoughts of Spring! 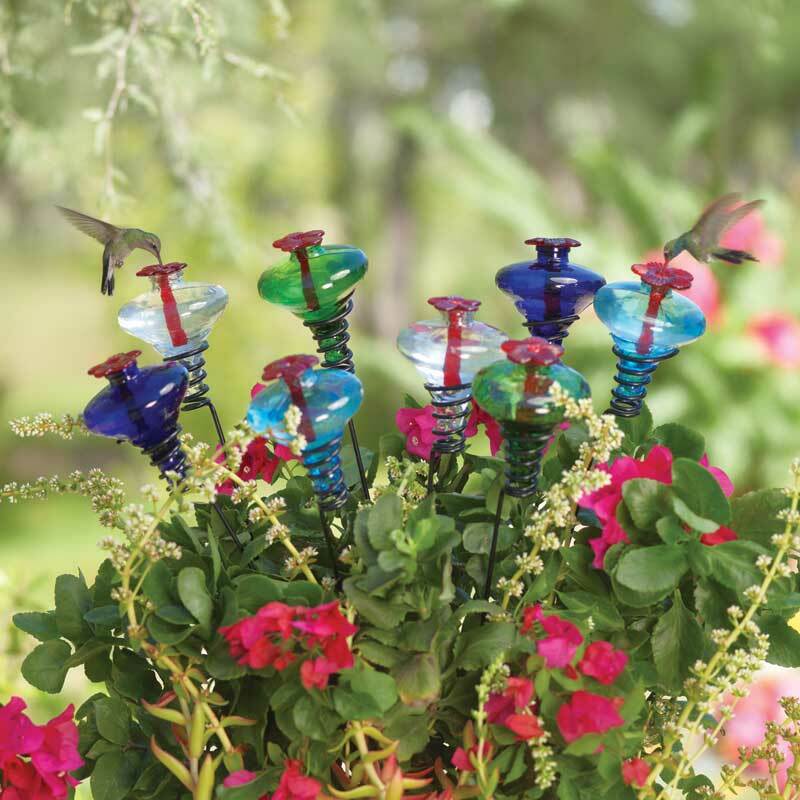 Have your hummingbird feeders ready and filled before they get to your location! We know, with ice storms and and snow everywhere, this seems ridiculous… but it won’t be long before the tiny sprites start their long and exhausting journey! GBBC 2014: Get Ready-Get Set-Count… Just 15 Minutes – this weekend! 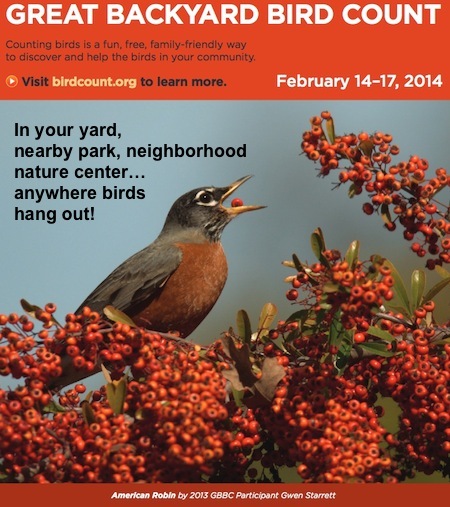 The 17th Annual Great Backyard Bird Count wants you! It’s open to everyone, regardless of experience, a fantastic science project for grades K-12 too. 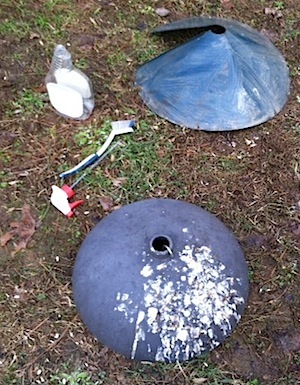 Do it this year… for the birds, for science, and for fun! Folks from more than 100 countries are expected to participate in this year’s Bird Count. Anyone can count birds for at least 15 minutes on one or more of the specified days and enter their sightings at www.BirdCount.org. The information gathered by tens of thousands of volunteers helps track the health of bird populations at a scale that would not otherwise be possible. The GBBC is a joint project of the Cornell Lab of Ornithology and the National Audubon Society with partner Bird Studies Canada. Great for educators and class projects; kindergarten thru high school, it gets kids outside and involved with the nature! We’ll be posting results online via links to The Cornell Lab once the count has ended! Last year’s Great Backyard Bird Count shattered records after going global for the first time. Participants reported their bird sightings from all 7 continents, including 111 countries and independent territories. More than 34.5 million birds and 3,610 species were recorded – nearly one-third of the world’s total bird species documented in just four days. A more in-depth video from The Cornell Lab explains how to take part, why participation is needed, and what we can learn from the count. It’s actually bigger than you think, and you really do matter! They’re Scouting Bluebird Houses Already! Despite adverse conditions of the polar vortex and another extreme winter, bluebirds and others are on the move, searching for suitable digs to raise their young. Even though snow is covering most of the country, Mother Nature’s biological clock tells them it’s time, the calendar and number of daylight hours is what lets them know. Closer to home, over-wintering residents like bluebirds are already checking bluebird houses to claim for nesting and raising their broods. With snow on the ground and high temperatures right at freezing, you can hear birds belting out their breeding songs! If there was a way to say “wait… it’s still too cold!” we most certainly would-but then again, man is no force against nature. Best we can do is help feathered friends along the way by offering fresh water, food, and birdhouses that are ready for nesting. 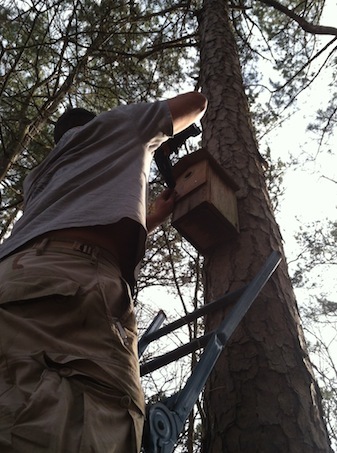 If you haven’t done so already, please check your bluebird houses and remove old nests. Be sure they are secure, sturdy and ready for vacancy. If you can stomach it, live mealworms are their favorite, but suet, peanuts and sunflower hearts also offer much needed fat and proteins. 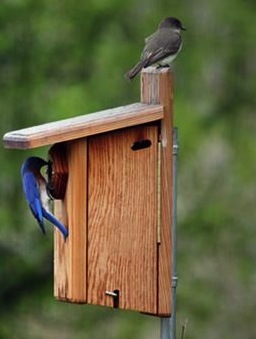 An Eastern Phoebe perches atop this bluebird house while the male checks out its interior. Phoebes won’t use these houses, but may take up residence in barn swallow nest cups if you offer them in sheltered areas around your home.